You are here: Home / Crochet Other / Link Parties / Link Party #50!! 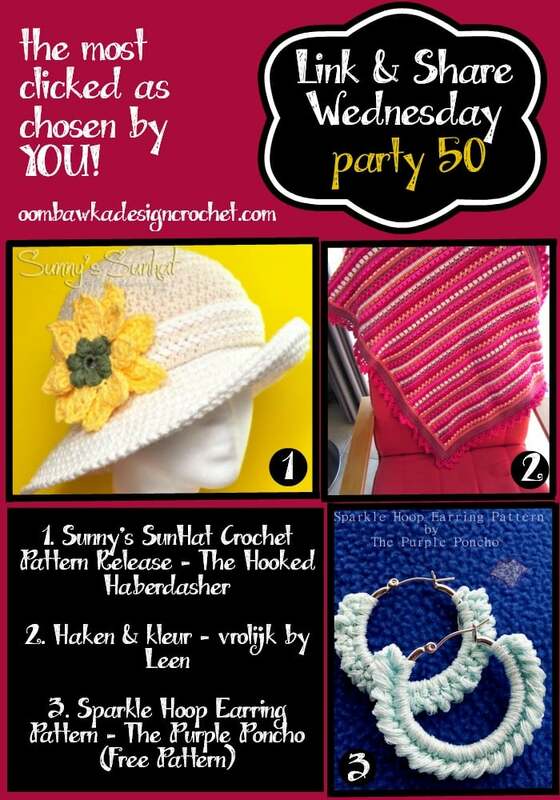 Welcome to our 50th Link and Share Wednesday Party! Here are the featured favourites from Link & Share Wednesday – Link Party 49 as chosen by you! Of course you can share a link to my page 🙂 Thanks! Great party 🙂 Love finding so much inspiration!